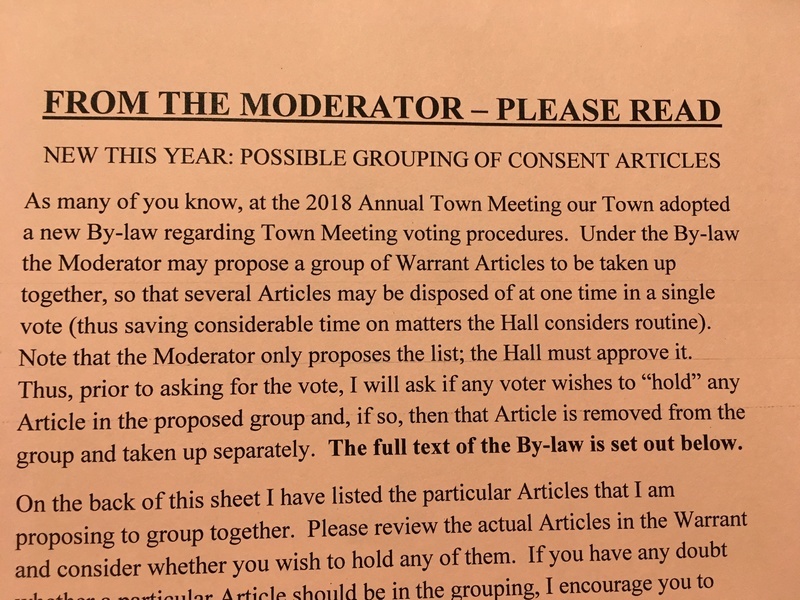 A handout from the Town Moderator clarifies that he hopes to make use of a new rule passed last year. The Consent Agenda allows him to bundle for consideration Articles he thinks could be passed as a group. This year, he has identified Articles 1-9, 12, 14-17, and 28. Be sure to grab the handout on the materials table for details. Updated (3/23/19 1:08 pm): To further clarify, voters will have the option of holding any (or all) items for individual consideration by shouting hold when he lists off the Articles.